Open banking opens the way to new products and services that could help customers and small to medium-sized businesses get a better deal when dealing with banks and fintech companies. Thanks to its infrastructure it could givea more detailed understanding of your accounts, and help you find new ways to make the most of your money. A new world of fintech apps and websites are changing finance forever! Open Banking is a secure way for consumers to share information, allowing new and existing companies to offer innovative banking products and services. Basically, customers give permission to share their banking data (balance, transactions, products, etc.) aiming to receive offers for new financial products. Its goal is to increase the competition in the financial industry and to transfer the ownership of account information from the banks to the customer. Ultimately, open banking means empowerment for the customer. This innovation in financial services has many facets: it’s an opportunity for new businesses, a threat (mainly for incumbent players as it boosts competition in the industry). It involves a considerable platform (experience layer, API manager, digital channels, new fraud and security measures…etc. ), organisational and operational change. As well as a massive cultural shift for both organisations and customers. Open Banking is seen by the majority of analysts as the true revolution in Banking, however, revolution is a process and it takes time. “Rome was not built in a day” and…nor the API Economy will be!" 3 main forces are slowing down its growth: consumer apathy and scepticism, complexity in setting and implementing the standards. Digital Services: banks develop ad-hoc APIs, often driven by a regulation like PSD2 (e.g., balance, account transactions). Most banks are at this stage today. Partner Integrations: banks expand their business model by making Third Party Providers their customer. Partner Infrastructure: banks have had success with some integrations, and they’re looking to roll them out to a larger community of partners via a portal or marketplace. Ecosystem: banks can make deeper investments into creating innovative solutions, new capabilities that creates a financial ecosystem. New business models are created to boost competitive advantage. Be patient: the requirements are complex and it takes time to understand them. You need patience to sit down and understand them. Novelty: despite its concept is well established, it becomes difficult to find the right resources for your project or collaborations within the organisation. Take a fundamental decision: build in-house or outsource it? Outsourcing can potentially release you from the operational efforts of being compliant allowing you to focus on added value activities. Drive the change: whether you decide to do it in-house or to outsource it, always establish strong governance to fully control the implementation. Using established API management platforms saves time and reduces complexity, however, there is no such thing as “plug and play” implementation. Engage with regulation experts: they are fundamental stakeholders for the project. Build your stakeholder map: you need the full engagement of several areas in the project, among them Regulation, Fraud and IT Security are key partners. Make that the members of the board understand the challenge and ensure that they are fully engaged. Define your APIs lifecycle Management and Security: I personally consider it extremely important to focus on the full API lifecycle management and security before starting to spot new areas of API monetisation. There is a lot of "un-fancy" stuff to do to set the fundamentals for your open banking journey. Do your internal work before testing with Third Party Providers: make sure your platform is fully tested and compliant before you start testing/engaging with Third Party Providers. Do not underestimate the Operational Readiness: identifying stakeholders, defining the Target Operating Model and implementing it. The importance of “intrapreneurs”: they are a key factor for success. They know how to make changes happen in big and established corporations. Manage the expectations: do include Change Management activities in your plan to manage the communication and expectations of the stakeholders. Considering the length and complexity of the journey, this is a fundamental activity in order to keep the team focused and motivated. 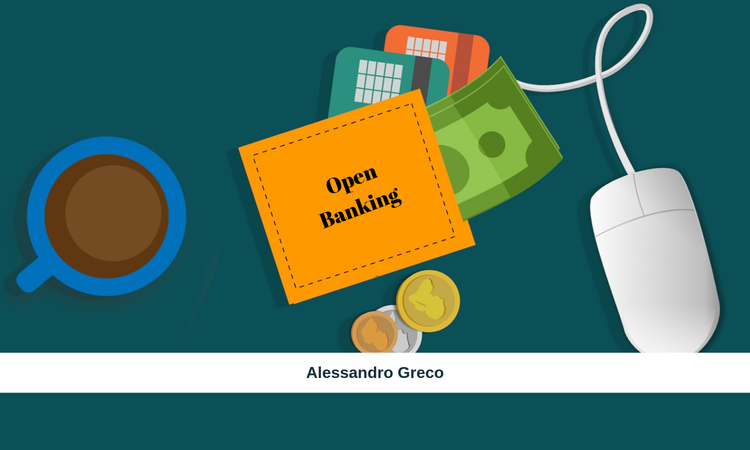 In Open Banking “old fashioned banking” and “new digital banking” meet and merge creating a new blend of financial services for the benefit of customers. In order to do so Banks need to undertake a complex journey. A change is (normally) performed when you need to do so. As we say in my town: “you learn how to swim when the water reaches your knees”. We know that time has arrived. Banks haven’t been disrupted yet, the only thing that has been disrupted is the Banks’ comfort zone. A lot of opportunities are just round the corner, therefore, the real challenge for bankers is: how can I innovate whilst being regulatory compliant? Obligation can become an opportunity.